But what does SEO mean, anyway? First, don’t feel bad for not knowing! There are so many acronyms and terms thrown around that it is nearly impossible to keep up with them all – especially if your focus is running other parts of your business or organization. You realize that you should probably know what “SEO” is and being doing something about it, but who has the time? To break it down further, a search engine is simply a site like Google, Yahoo, or Bing where people go and search for things like “chicken casserole recipes” or “how to fix a flat tire.” Honestly the list of things people search for is nearly endless. Google alone processes over 3 billion searches per DAY. So search engine optimization is the process of setting your website up in a way that makes it easy to find on Google. You are basically trying to put your “best foot forward” so Google knows what your website is about, and it knows that your website is a high quality resource in your industry. There’s more to it than that, but I think that gives us a nice platform to build from. As mentioned, there are a few major search engines, and then a bunch of smaller search engines. For our purposes, we’ll use “Google” and “search engine” interchangeably for the rest of this article. At this point, Google is the king of search engines with over 60% of all searches being done their site. Google has a sophisticated and secretive algorithm that determines what results you get when you search for something. Although some conspiracies exist to the contrary, the goal of Google is to understand what the searcher actually wants to see and then delivery the best, high quality results for that search query. If you’d like to take a look at Brian Dean’s best guess at all 200 factors that Google looks at, be my guest. However, you can do a lot of damage (in a good way) by concentrating on just a few key basics of how SEO works. After all, understanding and nailing the fundamentals will likely put you a step ahead of most of your competition. So it’s best to not let yourself get bogged down and overwhelmed by all the nuances of SEO. This is an important point to understand before we go any further. Like “SEO,” you may have also heard the term “keyword” be thrown around in blogging and internet marketing discussions. A keyword is simply a word or phrase that gets searched in Google. Earlier I gave “chicken casserole recipes” as an example of a Google search, so “chicken casserole recipes” is a keyword. So when you hear things like “optimizing for this keyword” it simply means that you are trying to make a page on your website as effective as possible in ranking for a specific search phrase. We’ll talk more about keywords later, but I wanted to define it now because it’s important in understanding what you should be doing with your website from an SEO perspective. If you need further explantation before moving on, check out this post where we define what a keyword is. On-page SEO refers to the things that you control on your web page, which help Google understand what that page is about. You could have a great resource or a really in-depth guide on your website, but if you are missing the boat with on-page SEO then it probably isn’t being found in Google as much as it should be. Here is where “keywords” become important. If you have no idea what people are searching for on Google, then how in the world do you know what you should be “optimizing” for? Keyword research, which we’ll cover in the next section, is the process of finding out what people are searching for and knowing what you should be trying to target with the pages on your website. Because in order to do good “on-page SEO” you need to know the keywords you are targeting. Trying to do on-page SEO without knowing your keyword would be like me telling you to decorate your house for a birthday party, but not telling you who the party was for. Should you decorate for a 4 year old boy who loves Jake and the Neverland Pirates? You could spend a week turning your house into a real-life pirate ship, but if the target was for a 40 year old man – you would have completely missed the mark. Likewise, knowing your keyword targets are critical to doing good on-page SEO. 2. Your page description should also include the exact keyword. The page title and description are the 2 things you see in the search results, so it’s important that these 2 things clearly state your keyword – so Google knows what you’re page is about. 3. The URL should contain the keyword, or some form of it. Let’s say my website is called “www.theworkoutguru.com” then my post about ab workouts might be “www.theworkoutguru.com/ab-workouts”. If your page URLs look more like “www.theworkoutguru.com/p135G” then you are missing an opportunity. 4. Use the keyword and variations of it throughout the content on the page. So I’d expect “ab workouts” to be mentioned in the first paragraph, and then again a few times throughout your post – as it makes sense. There is no certain number of times needed, but make a point to use the keyword naturally as this also helps Google understand what your page is about. If you are a WordPress user, there is a free plug-in known as SEO by Yoast which makes on-page SEO much easier. It allows you to input your target keyword and then will point out how well you did at optimizing for that keyword, including all 4 of the things we listed above. 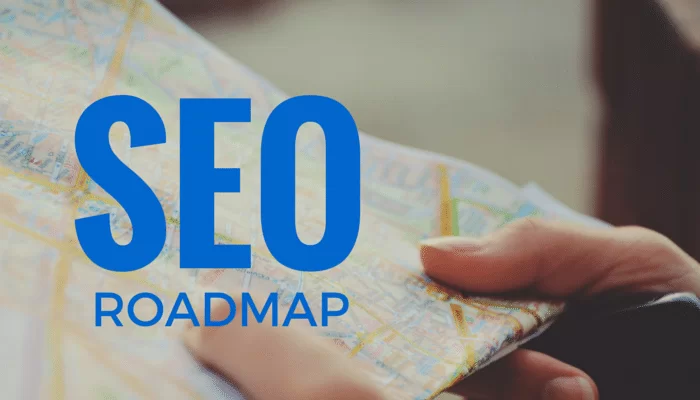 Hopefully at this point, you are starting to understand the meaning of SEO is and some basic things you can do on your website to optimize pages for the search engines. You should also understand what a keyword is, and why knowing which keyword(s) you are trying to rank for is vital. Now the question is, how do you know what keywords you should be targeting? Keyword research is the process by which you can find out how often a particular phrase is searched, and understand just how stiff the competition is for that keyword. Let’s say you own an online store that sells hardware and tools. 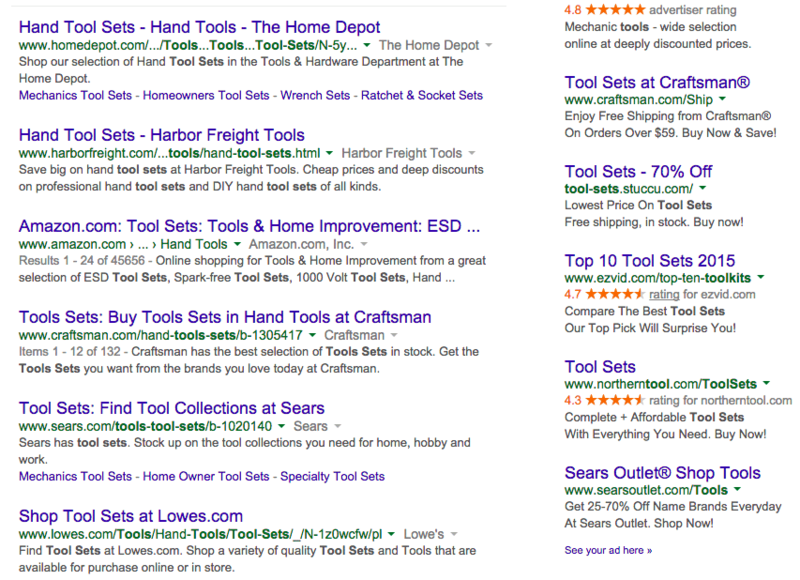 Your first thought is that “tool sets” should be the keyword that I try to rank for. I see brands like: Home Depot, Amazon, Sears, and other giants of the hardware industry. Just because your online hardware store isn’t likely to rank for this competitive keyword, everything’s not lost. These are generally longer, more specific searches that get searched less often, and generally have lesser competition. In other words, they’re keywords that you can focus on with your SEO and actually have a chance of ranking highly for in Google. After all, certainly this phrase is searched much less often than the more general “tool set.” Shouldn’t you be going after the one that gets searched more often? Notice sites like CopTool.com, Toolguyd.com, and Protoolreviews.com all in the top 5. I’m not knocking those sites, but they certainly aren’t titans of the industry like Lowe’s, Home Depot, and Sears. The key here is that these sites have put together pages that address this exact topic. 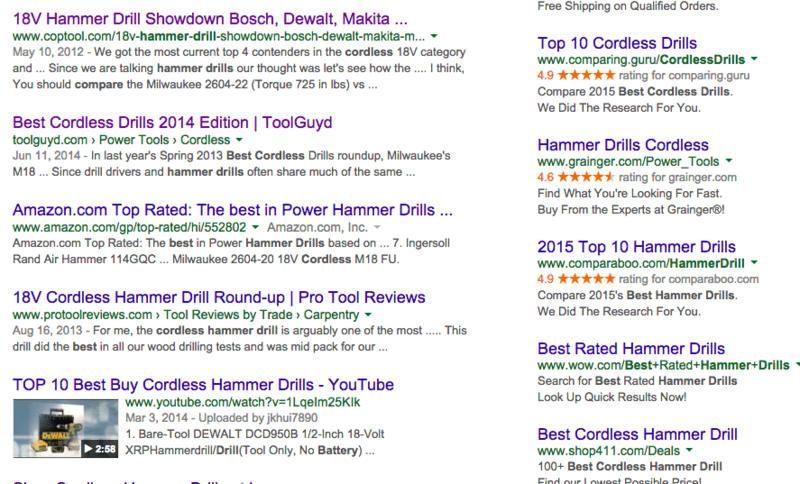 Notice titles like “Best Cordless Drills 2014” and “Cordless Hammer Drill Round-up” that do a good job with targeting this type of keyword. Finding a number of similar “long tail” keywords would be a great place for a small online tool store to start. The quickest way to get started with keyword research is to use a tool like Long Tail Pro that does most of the work for you. You can put in some “seed keywords” and then the program will generate hundreds of similar keyword ideas, tell you how often they are searched, and then analyze your competition so you know if it is a good keyword to target. Do Links To Your Site Matter? You’ll find some debate about this online, but other sites putting links to your site is definitely an important factor in SEO. A link back to your site (AKA a “backlink”) is something like a vote of confidence for you in the eyes of Google. Imagine if you were quoted in a story for the New York Times and when they posted the story online, they linked to your website in the article. Search engines like Google understand authority, and sites don’t get much more trusted and authoritative than the New York Times. So the idea is that if the New York Times puts a backlink to your site, you must have a site that is somewhat important and high quality. If you went on to get more links like this from respected organizations or “authorities” in your industry, it would be an even greater indication to Google that your site must be important and it must be pretty good (or all of these high quality sites wouldn’t be linking to it). So in a way, they are transferring a bit of authority to you. 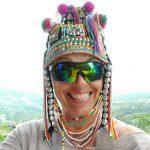 So the key to backlinks is authority and relevance – not quantity. If you have 1,000 links to your site but they all come from irrelevant, low quality websites – it may actually be a bad thing for your website. So all backlinks are not created equal. So how do you get quality and authoritative backlinks to your website? This is one of those topics that can quickly become overwhelming, so we’re going to stick to just a few practical tips on how to get backlinks that almost anyone can implement right away. 2. Expert “round-up” posts are another great way to get a few backlinks and start getting traffic. The concept is that you think of some hot topic or interesting question in your industry and then reach out (via email) to experts in your space to ask them what they think. In the end, you’ll have a post that gives a ton of value to your audience. Here is an example of a round-up post where 52 SEO experts gave their most creative link building tip. The important thing to remember with a round-up post is to reach back out to everyone who contributed after you’ve published it. Give them a heads up that the post is live, and thank them for sharing their insight. You can also politely welcome them to share your content if they’d like. Many times your contributors will share the post on social media, and maybe even link to it from their site. For more step-by-step instructions on how to do a round-up post, check out this video from QuickSprout. 3. The third technique I’ll mention is doing some kind of “award” or “favorites” post on your site. This works especially well for local businesses. Then, make a list (ideally with pictures included) and talk about your favorite venues you’ve seen and why you like them. Once you’ve published it, simply send an email or call representatives from those venues and let them know about the “award” you’ve given them. People love being mentioned on curated lists like this, and many times they’ll gladly put a link to your list from their website – which is great news for you. 4. Find things (articles, lists, etc.) that people already link to in your industry and make something better. Then, tell all the people linking to that other content about your much better resource. But doing just these 4 things will get you off to a fast start. The key thing is that you have a plan in place that you can actually execute. Take just a couple of strategies that work for you and run with them. Depending on your niche, just a few high quality backlinks can make a HUGE impact for your SEO efforts. Hopefully what you’ve read so far has helped simplify what does SEO mean for you. Now I’ll take an opportunity to share some insights on other common questions about different types of SEO. You’ve probably noticed that some searches you do will pull back a bunch of videos in the results. Also, it’s fairly common to see videos embedded in blog posts on a given topic to help supplement the written content. Let’s talk about both of those. 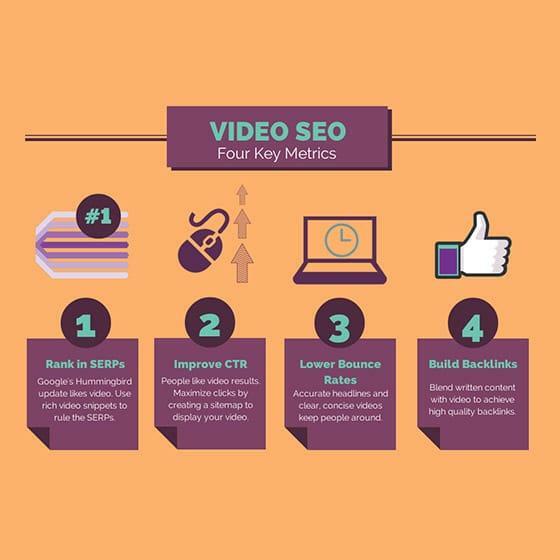 We’ve already talked about backlinks, but adding video to your website’s content can really help keep people around longer – which is another good indication of the quality of your content. If someone clicks on your page after a Google search and then hits the back button 5 seconds later, that isn’t a good sign. That is called “bouncing” and makes up your “bounce rate” as mentioned in the image above. On the other hand, if they stick around for a few minutes that means they were engaged in the content and demonstrates that people like what you have to offer, which increases their time on page and may even get them to go deeper into your website. So adding video to your site is one way to reduce the number of people who come to your page and then bounce somewhere else. If you are a local business, there are really a lot of advantages for you in the SEO world. As opposed to a company that is online only, you can really make some connections (and probably already have them) in your local community and get some backlinks from businesses you partner with. Check out this article about some of the dangers of outsourcing your SEO if this is something you are considering. This isn’t to say that their aren’t good SEO and marketing companies out there – certainly there are. However, SEO can be so critical for your success online that this decision isn’t something you should make lightly. As the article points out, if you get connected with the wrong SEO company, it could very well have a negative impact on your website and business. Shady tactics are often penalized by Google and can be a devastating blow to your search traffic. So if you are considering hiring an SEO agency, here are some ideas of the questions you should ask and the answers you should hear. 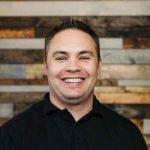 Marcus Sheridan in the video above has talked about the concept of “insourcing” your SEO by getting your staff to help with content creation. As we discussed, keyword research and creating great content are 2 important parts of a good SEO strategy. Who knows your business better than you and your staff? Sharing your expertise on a topic that your customers are asking about via your website is a great way to start drawing people into your website. In fact, Marcus always talks about the idea of “they ask, you answer” which means if you hear a question from a customer, you should answer that question in a general way on your blog. So if you can get buy-in from your staff, you’ll likely have no shortage of ideas for blog posts you could add that would be answering the most common questions you hear about your product, service, or industry. Certainly insourcing can be a much cheaper option if your budget is tight! If you’ve made it this far, hopefully you feel comfortable with some of the basics of SEO and what does SEO mean! If your business isn’t putting much into your online SEO efforts today, the best thing you can do is get started. I’d suggest starting with keyword research to figure out what you should blog about, then create really helpful content on those topics. Next, work on one or two of the simple backlinking strategies we discussed and you’ll start to pick up some momentum.